Description: This mirage uses two concave mirrors to project an image of the bug in the opening. Something to place in the mirror, such as a rubber pig or bug. Take the mirror out of the box and set it up. Place somethign in the middle of it, such as a rubber pig. When the professor is done, take the mirror aparat. Place some tissues between the bottom and top mirror to protect it. Place back in box. 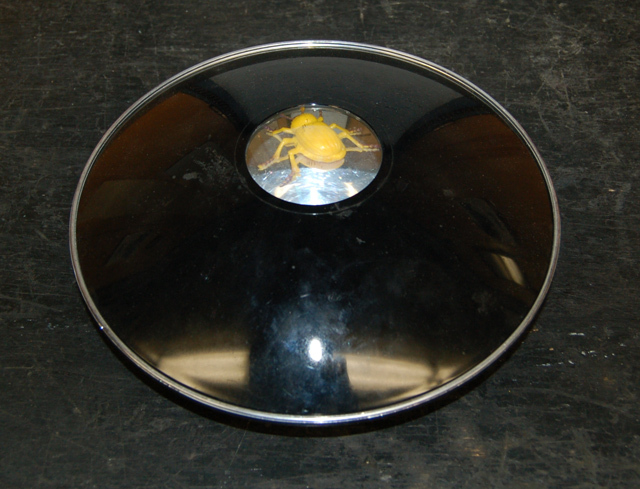 Have students look into the bug mirror. Explain that this is made of two concave mirrors. 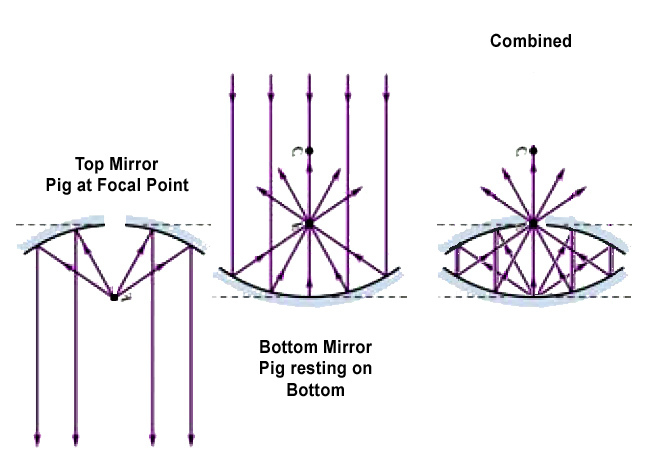 The pig is at the focal point of the top mirror. The top mirror reflects all the light rays onto the bottom mirror. 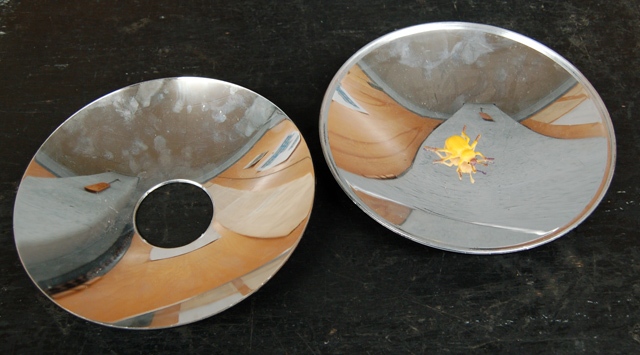 The bottom mirror has its focal point at the hole in the top. All the light rays are reflected to the hole and it looks as if the pig is at the top (see third picture).